Do I need to make it a whole year to be considered a runner? When I run a race without walking, does that make me a runner? 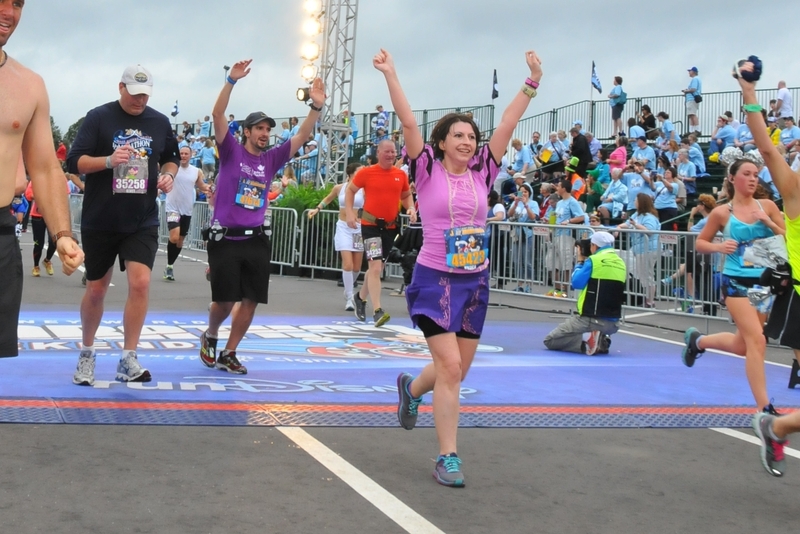 When I finish a half marathon, then am I a runner? I have now done all those things. I’ve been running consistently for over a year now. I completed a 5k without walking last fall. And, of course, I’ve finished one half marathon and am training for another. Yet I still don’t feel like I’m a runner. However, I read a blog post from Kate (who I met through photography in Nashville but now lives in Arkansas) a few days ago. She talks about how even though her body and mind are screaming at her to quit, she keeps going. I push through all of that and finish my runs. I come home sore but proud. And in my mind, THAT is what makes me a runner. This really struck me. I can think of at least two occasions in the past few weeks alone where I felt like I had had enough and decided to call it quits after 2-3 miles, only to push through, overcome the mental demons, and finish the mileage I set out to do. I didn’t used to be like that. You can tell from my numerous start and stop attempts with Couch to 5k that I was easily defeated. But not this time. Something in me has changed. I concede. I still don’t really feel like one, but I’ll call myself a runner.